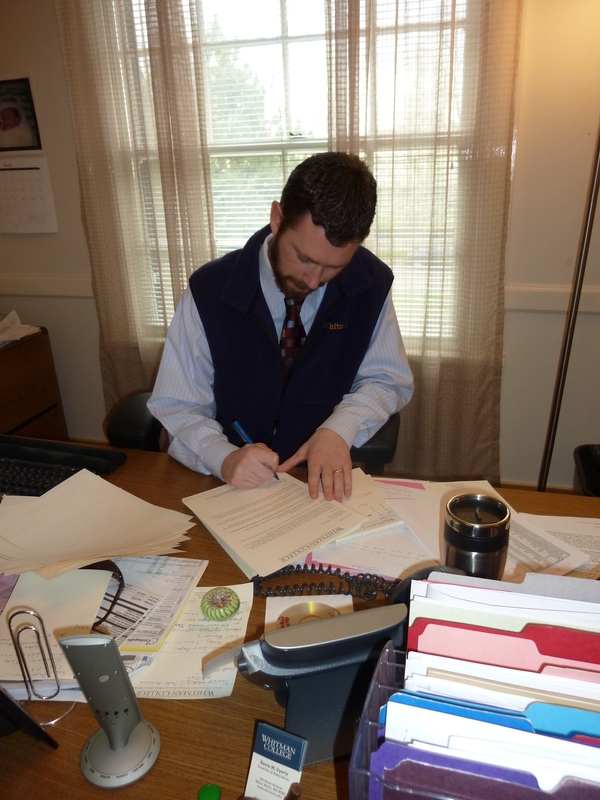 Kevin Dyerly, Director of Admission, signing letters. Yes. He signs each letter by hand. After traveling around the country getting to know you, walking you through the application process, reading your files, and discussing them, it is decision time. It has been an incredible process this year, and we cannot wait for the next step. Decision time is crunch time here in the Whitman Office of Admission – lots to do in a tight window. We are signing letters, stuffing envelopes, and getting ready to mail decisions. Rest assured, we’re working as hard as we can. Early next week, the decision letters should arrive on your doorstep or in your mailbox. As for now, we will keep plugging away.